4 wins in four games - Ole Gunnar Solskjaer has powered Manchester United back into the sun, driving away the clouds of restrain and pessimism persistently hovering over Old Trafford under Jose Mourinho. His United team are firing on all cylinders, blowing away the opposition, and have won four games in a row for the first time since April 2018. The fact that United are making the games so entertaining has been one of the brightest parts of the Norwegian's appointment. Manchester United are sizzling right now, to say the least, and they have scored 14 goals in the last 4 games. 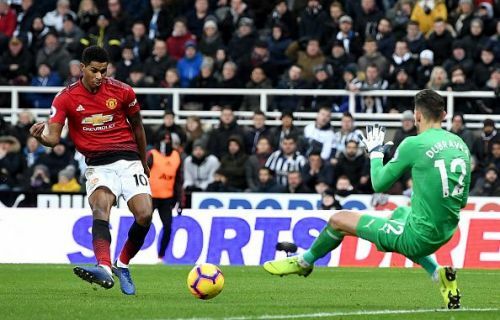 Solskjaer was desperate for a clean sheet, and against Newcastle his team granted him his wish. The display against the Magpies was one of resilience and maturity. United were not allowed to flourish, yet managed to seal 3 points. Even though the whole team was efficient, these 5 players were brilliant on the night under Solskjaer, and ensured that United started the new year on a positive note. Although Ander Herrera did not have too many chances going forward, he was tidy in the middle of the park. His alertness and running ensured that United were always moving the ball around. In a game where Pogba was relatively quiet, and Matic took too much time on the ball, the Spaniard had to keep the momentum going. He started pretty deep, almost sitting alongside Lindelof and Jones at times, as United failed to find a breakthrough in the first half. 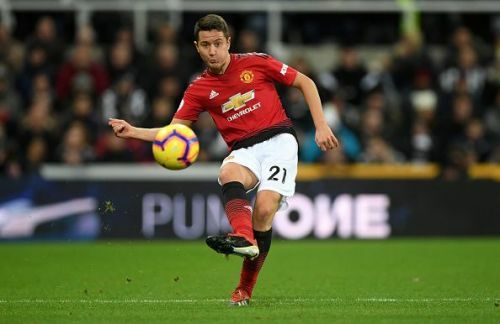 Herrera was effective in the middle, stopping the Newcastle counters, and also trying to dictate the proceedings from a deeper role. His position at times was so deep that his manager had to urge him to move forward on occasions, because United missed his energy near the box. The few times he did move forward, his presence was immediately felt, however, the Spaniard was more concerned about his defensive duties on the night. He shouldered much of the responsibility in the middle, and ensuring that United were never short on men during the Newcastle counters. It was Herrera's awareness and positioning in the middle of the park which helped United to 3 points and a clean sheet.